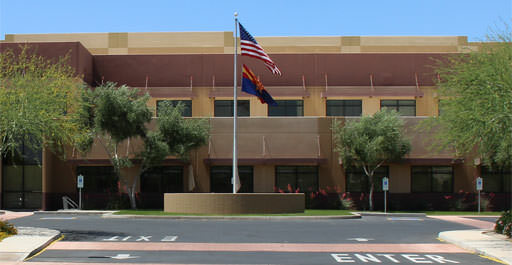 Located at 2550 N. Nevada Street in Chandler Arizona, and within the Chandler tech center, this 164,000 industrial warehouse is the manufacturing headquarters for IO Data. The 16,202 square feet of office was recently updated along with the 145,555 square feet of warehouse and 8,183 of mezzanine. The building can be expanded by 50,000 square feet. The property sits on 16.5 acres, has 373 parking spaces and has 3,000 amps of power.